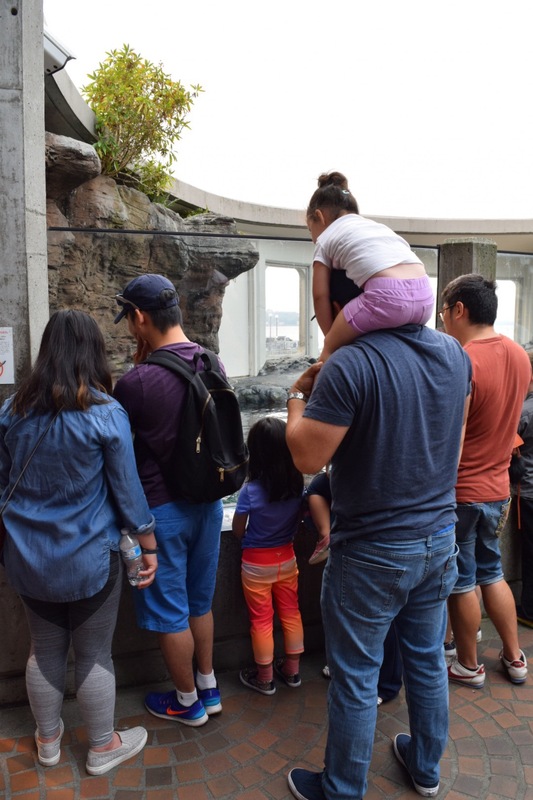 Family Date in the City – Seattle Aquarium & Molly Moons Ice Cream! – Abbey Co. It has been a great start to birthday month (September) already! For Labor Day weekend we went camping with friends, and were truly so lazy that I don’t have anything exciting to share from it… we just sat by the river, bbq’ed, and slept in… it was a much needed opportunity to recharge for sure. Well, the Tuesday after the holiday weekend I already had off and talked my hubby into playing hooky with me so we could hit up the Yayoi Kusama: Infinity Mirrors exhibit at the Seattle Art Museum, only to find out that SAM is CLOSED on Tuesdays! UGH! 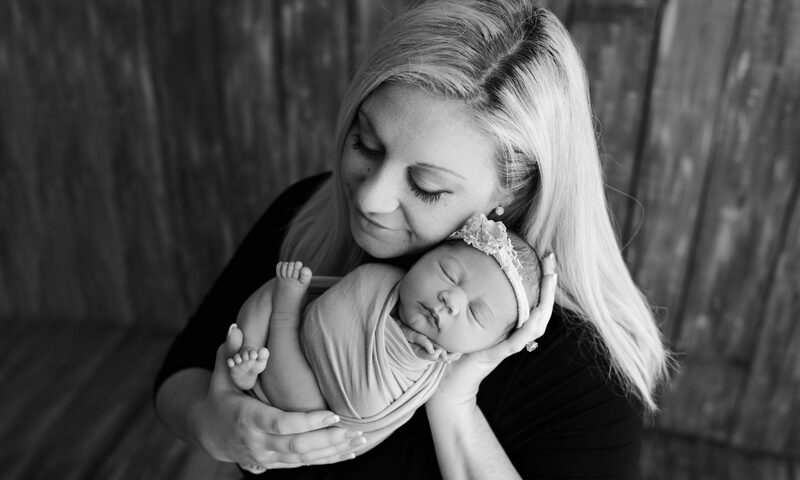 Heartbreaking as I had my heart set on seeing this, but on to other plans! Even though this should be a very beautiful time of year to be outdoors in the city, the Northwest is currently experiencing extreme wildfires in a variety of areas, leaving the city engulfed in smoke and smog. Waking up this morning, our car was completely covered in fallen ash! 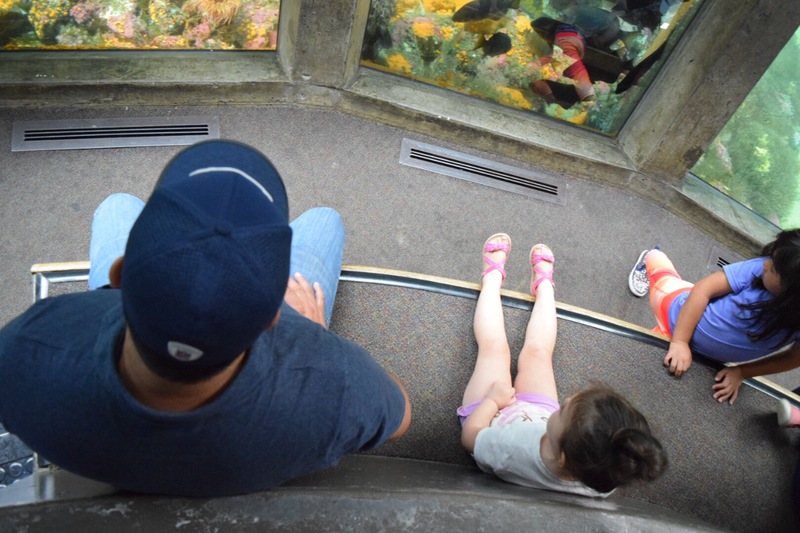 With a respiratory-sensitive child, outdoor activities were out of the question, so it was decided to be tourists in our own city and hit the Seattle Aquarium! 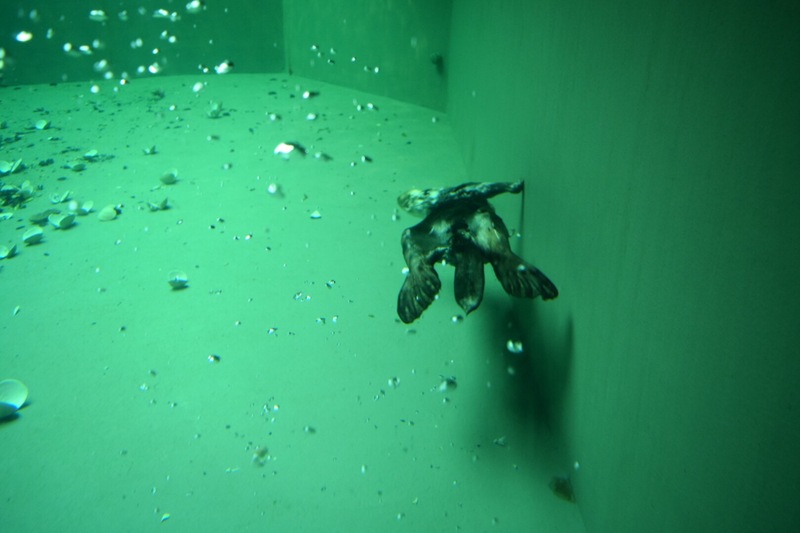 I have not been to the Seattle Aquarium in years, so this was a fun and fresh feeling visit. 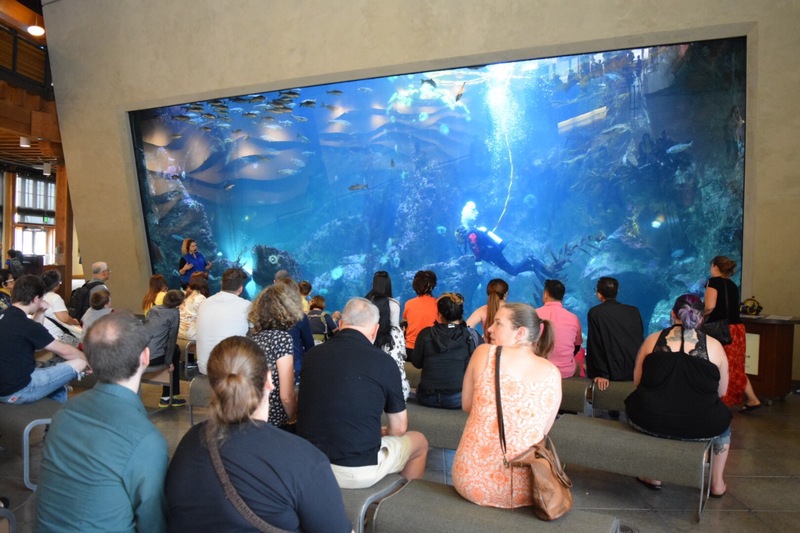 With the large touch pools and indoor caverns of displays of fish, there was surely plenty for us to see inside! 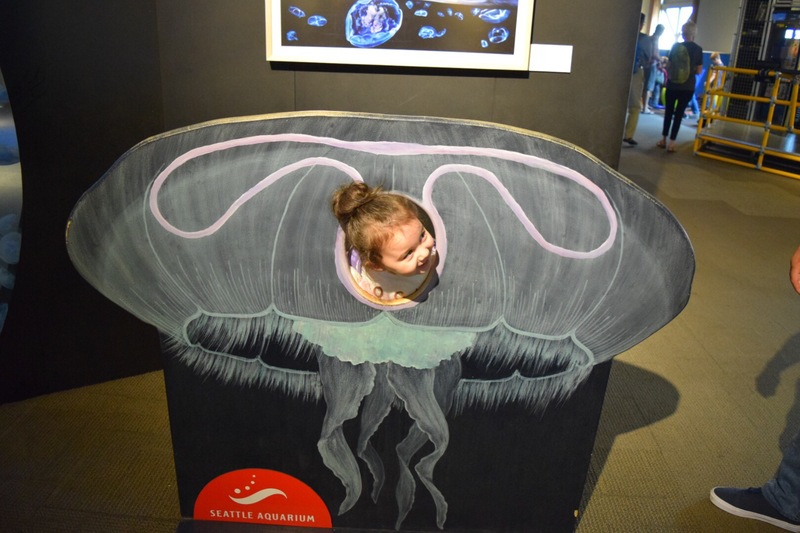 I think our favorite part of the exhibit was the under-water dome room in the ‘Northwest’ area, that allowed you to look at sea-life from all angles in a very natural-seeming environment. 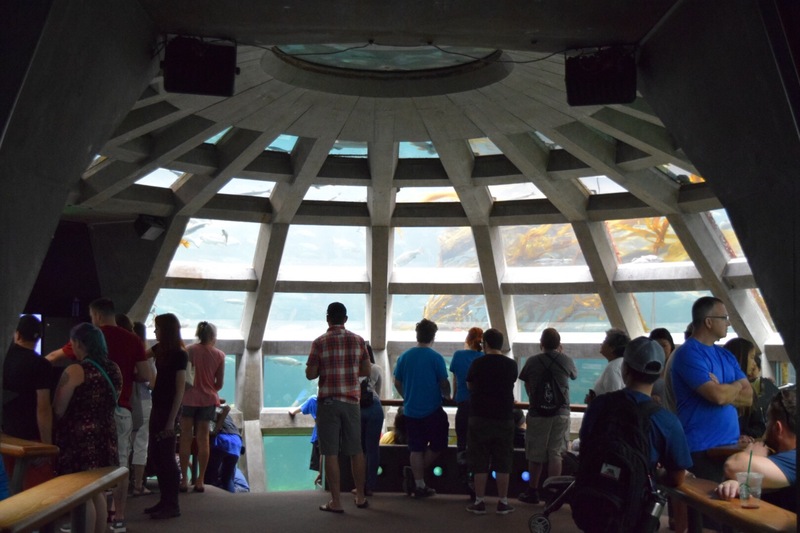 It also linked to the Sea Lion and otter exhibits, which we thoughtfully enjoyed watching these playful animals put on a show for on-lookers. My husband and I honestly could have stayed longer, but our toddler started running out of juice so we made a quick stop in the gift shop where she of course found a new stuffy (an all purple sea otter) that had to come home with us. Next, we made it to our favorite part of Seattle (Queen Anne Hill) as this is where we lived for a good 6 years+ before having our daughter. 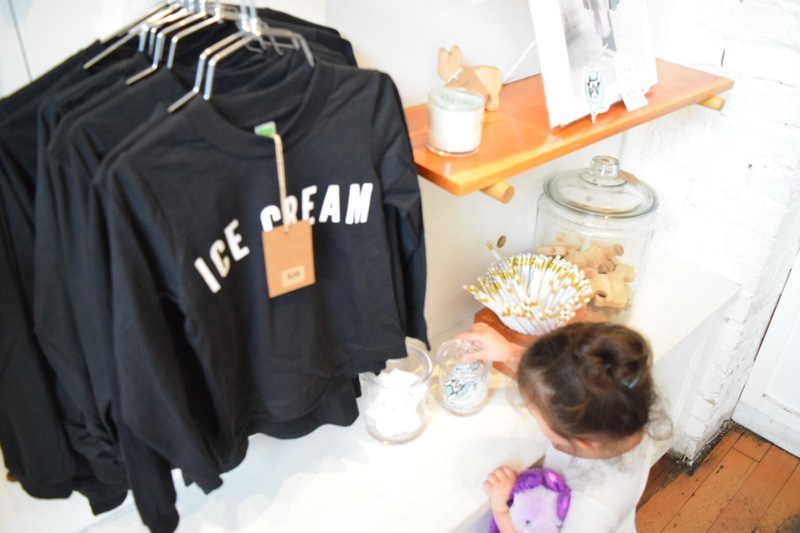 We caught lunch at a nostalgic cafe, then headed to our favorite organic ice cream shop, Molly Moon’s! 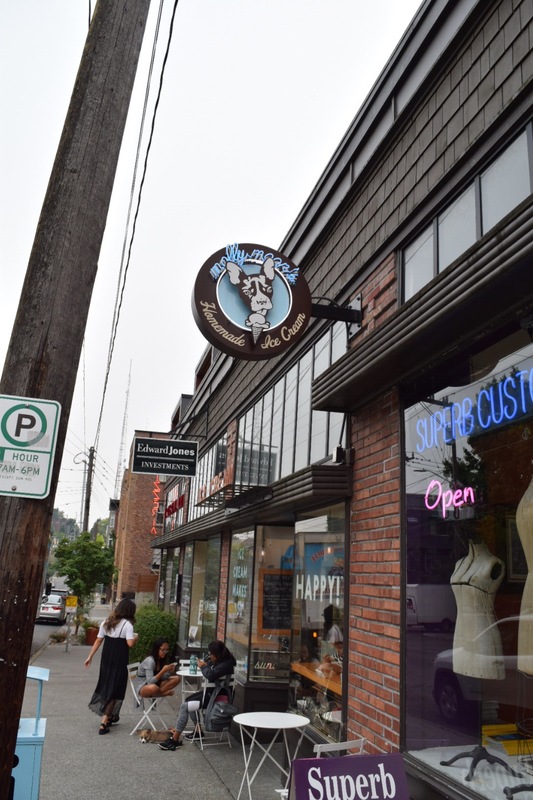 If you are from the Pacific Northwest and have never tried Molly Moon’s, then I question what you are doing in the greater Seattle area, since this place is a staple! 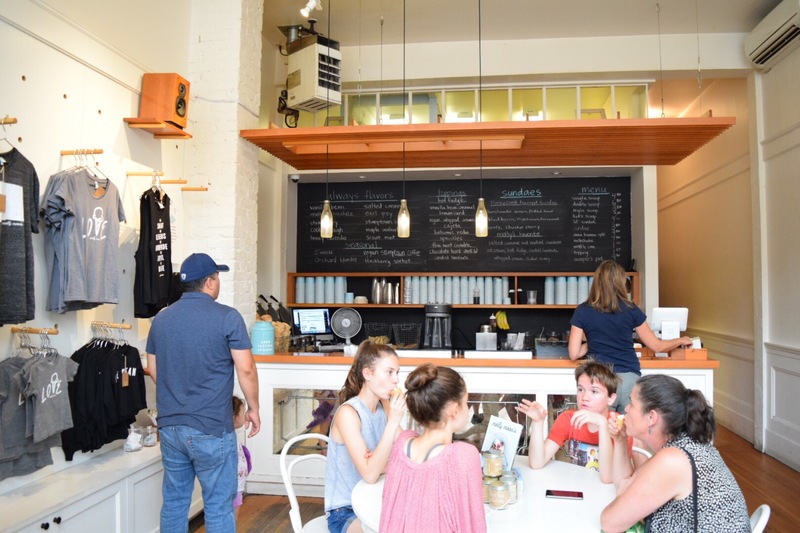 At Molly Moon’s you will hear lots of Northwest hipster words such as “locally sourced”, and “sustainable”… things I value but sometimes get institutions such as this labeled as a little too granola and scare people away. 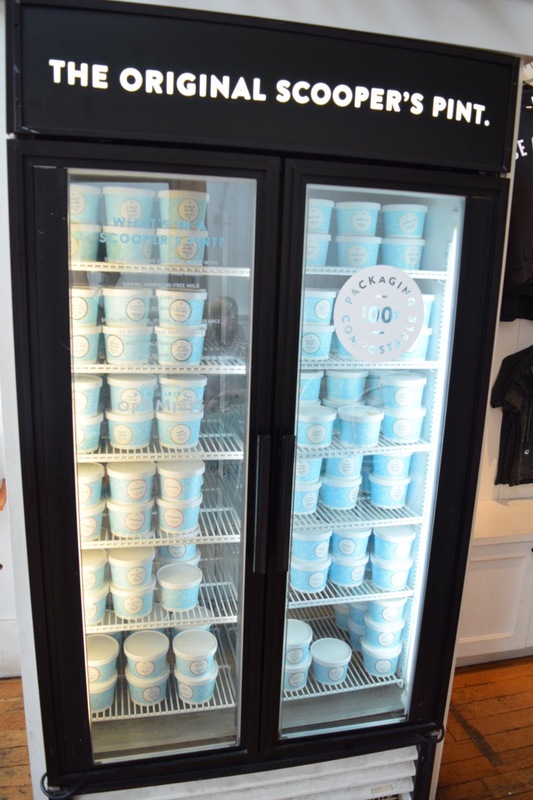 Truly, don’t let this be you because you will taste these flavors and only find true deliciousness! 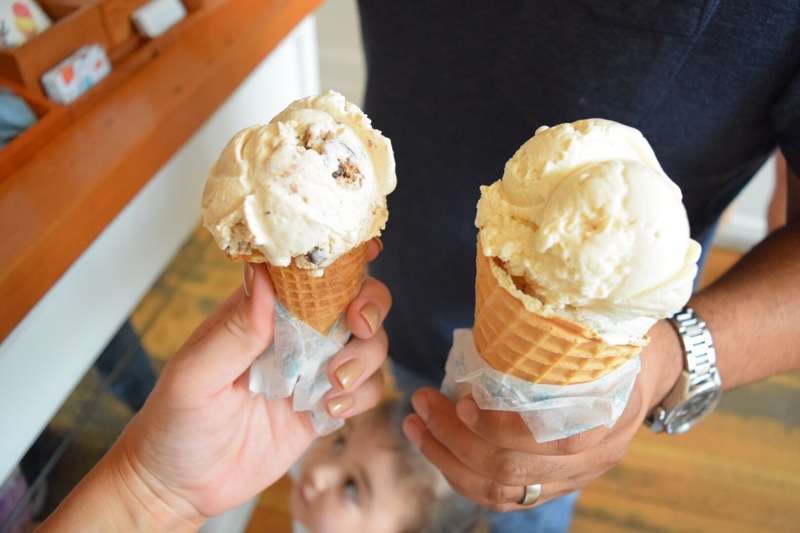 My husband went with his standby favorite of “Early Grey”… I passed on my usual (Honey Lavender) and opted to try something new and grabbed their “Cookie Dough”, which was a cinnamon cream flavor with oatmeal chocolate chip cookie chunks and it was absolutely worth the deviation from the norm on my part. 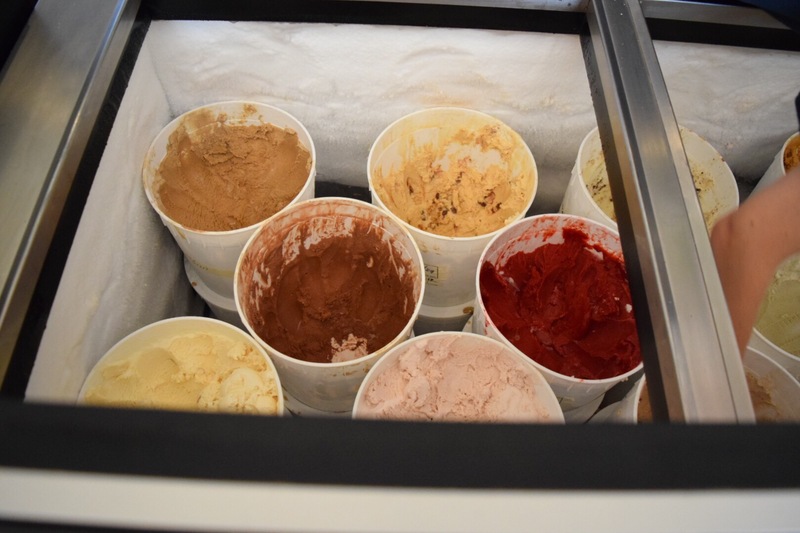 The salted caramel was also calling my name, but I will have to save that for next time! 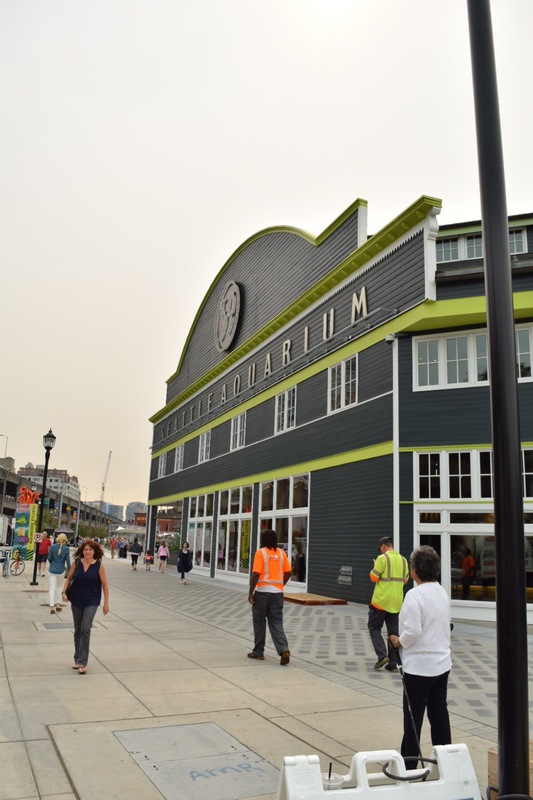 For more info on the Seattle Aquarium, follow THIS LINK! 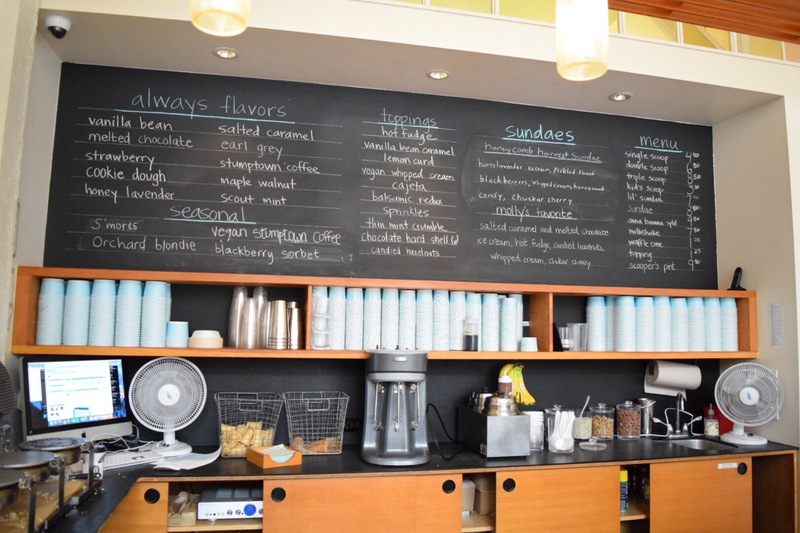 For more info on Molly Moons Seattle, follow THIS LINK! how fun! 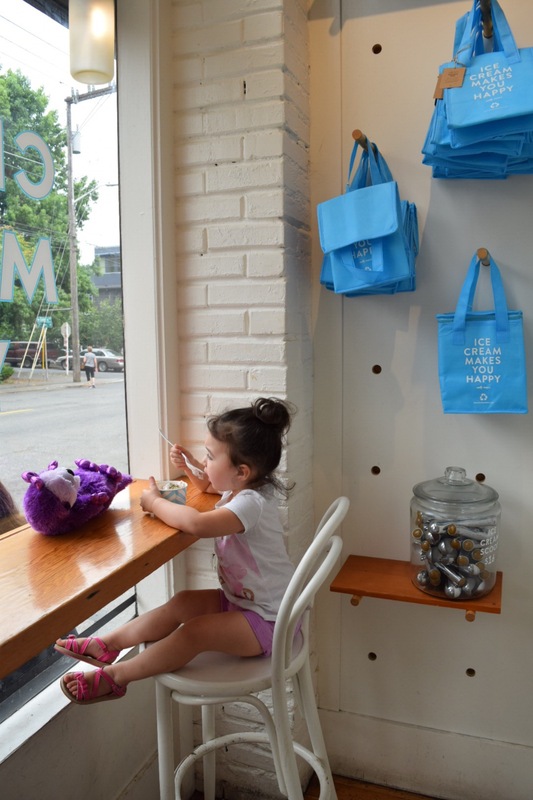 we visited Seattle over Father’s Day weekend and we loved it!! 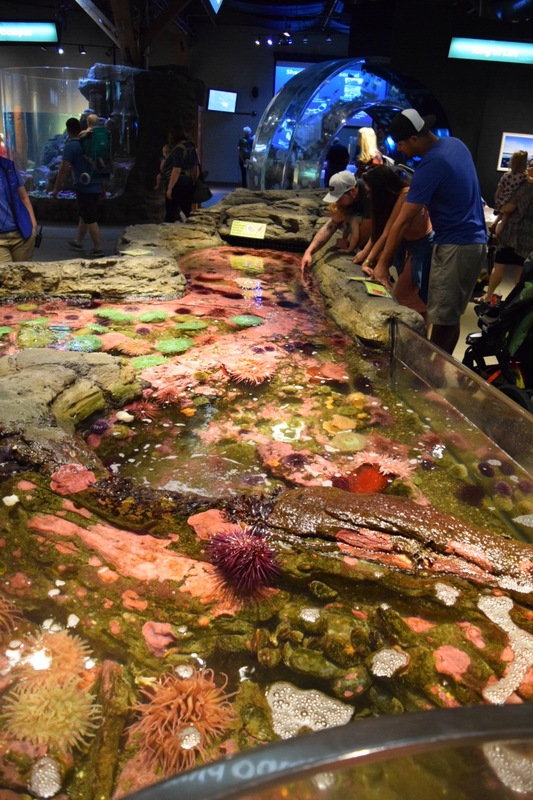 (we live in CA) love seeing pics of the aquarium etc, our kids loved the visit too! Aw, thank you! It was a fun family day for sure! I haven’t been to Seattle in years!! Almost 10 if I’m correct. I am actually planning on going to Seattle for a mini family vacation over the weekend and I’ve started looking into things to do. The aquarium is definitely on our to-do list and I want to ride the ferry so bad to Bremington Island to go to the Kids Discovery Museum. 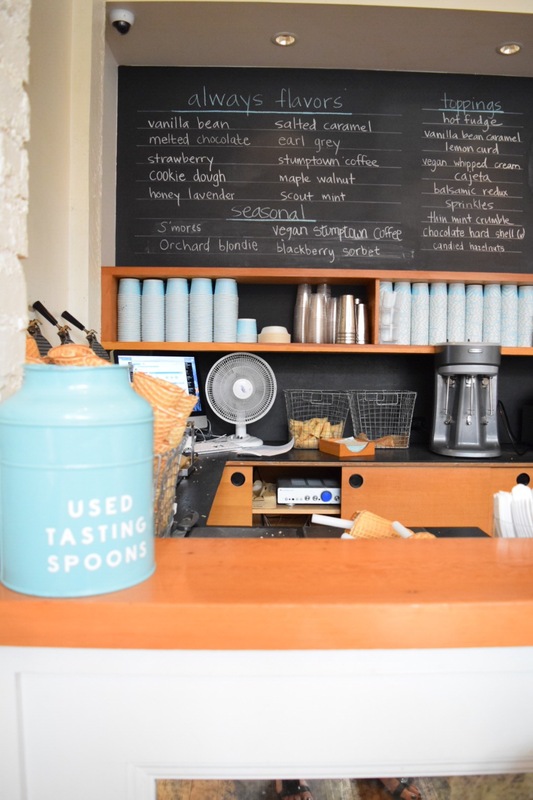 There is a Molly Moons in Capitol Hill which may be closer… you will still have to cab. 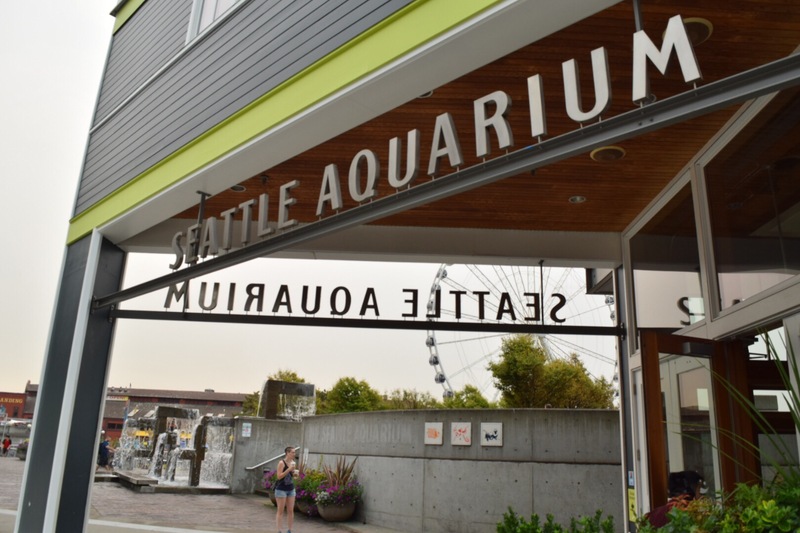 If you are looking for family stuff close to Pike Place I would grab a city pass because it gets you into the Aquarium, great wheel, etc. at a discount. If your family likes seafood, the crab pot is a very fun place to eat out! Also, if you have not been in 10 years I would visit the Chihully Garden of Glass at the base of the space needle. It is a newer exhibit and it is beautiful! That sounds pretty cool. Where would I get the city pass from? Is that like a pass you get from libraries? You mentioned here that your car was completely covered up with fallen ash in the morning. The car interior as well as exterior parts keep on getting dirty with the passage of time. So I make sure to clean all my car parts at least once in a week. Previous PostPrevious Four Northwest Oktoberfest Celebrations you NEED to check out!